I have toured half a dozen spent fuel pools at various nuclear power plants. They always fascinate me. To look down on the boron-laced bluish looking water to observe the spent fuel assemblies below is just one of the most interesting things I have ever done. It never ceases to amaze. Being shown and instructed on how the fuel assemblies are brought into the plant, inserted into the reactor vessel, and ultimated romoved for storage in the spent fuel pools and dry cast outdoor storage is very enlightening. The fuel rods at all six reactors at the Fukushima Dai-ichi complex contain plutonium. But only six percent of the fuel rods at the plant's Unit 3 were a mixture of plutonium-239 and uranium-235 when it was first put into operation. The fuel in other reactors is only uranium, but even there, plutonium is created during the fission process. Plutonium-239 has a half-life of 25,000 years, meaning it takes that long to lose half of its radioactive potency. Uranium-235 has a half-life of 700 million years. And cesium, which tends to go airborne much more easily, has a half-life of 30 years. When the pellets of uranium dioxide inside the thin fuel rods are split to create energy in the reactor, they release neutrons that, in turn, create highly radioactive plutonium-239. Some of the U-238 is transformed into PU-239. This plutonium also splits, creating even more energy. By the end of a uranium fuel cycle, 40 percent of the energy produced comes from the splitting of plutonium. The spent fuel rod that remains at the end of the process contains uranium, plutonium, and a mix of other radioactive byproducts. The Fukushima Dai-ichi site has 3,400 tons of fuel in seven spent fuel pools within the six-reactor plant, including one joint pool storing very old fuel from units 3 and 4. There are 877 tons in five of the reactor cores. Officials have said that the fuel in Unit 4's reactor vessel was transferred to its spent fuel pool when the unit was temporarily shut in November. Japan has recently built a facility to remove the byproducts and reprocess the plutonium and uranium into a substance called MOX for reuse in its reactors. MOX mixes plutonium or highly enriched uranium from warheads with regular uranium for a blend that can be used in commercial reactors. 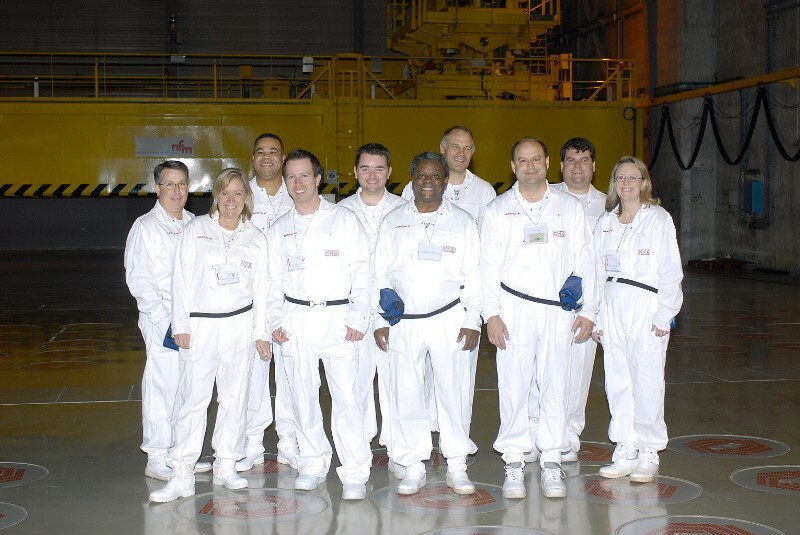 I toured the LaHague reprocessing facility in France (see photo below) in 2007. Japan's reprocessing plant, in Rokkasho, a village 300 miles (500 kilometers) north of Fukushima, is only starting up, and hasn't yet begun full operation. I also toured the two nuclear reactors in the United States that use MOX fuel.